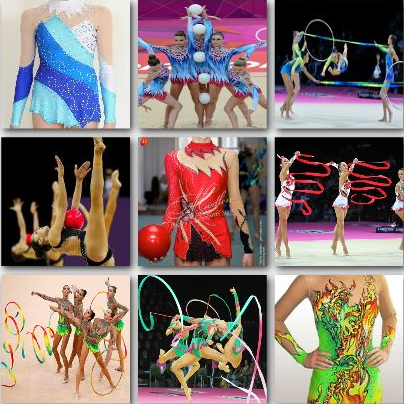 What it means to be a rhythmic gymnast ? Do you want to have more flexibility ? coordination ? self confidence ? so you should be a Rhythmic gymnast. It is an important kind of sport for those who want to develop the skills that we mentioned above, also it is special because it requires a lot of concentration and self discipline. The good thing about it is if you dont have it you dont have to worry because this sport exists for this exact reason to teach you be a better you. self discipline. Second the competitions will help you overcome the fear and increase your confidence. Third the difficult exercises and hard training will give you the flexibility and coordination that you always dreamed of. Rhythmic Gymnastics - be a champion ! There are many athletes that prefer Rhythmic Gymnastics over other sports and they have reached very high achievements, one of them is Yevgeniya Kanayeva. She is a Russian Rhythmic gymnast known for her high level of technical difficulty. also We would like to mention our own israeli champion Neta Rivkin who won a bronze medal in the individual hoop competition in the world championship in france. and Maria Petrova who holds the world record for most individual all-around Rhythmic Gymnastic. "Rhythmic Gymnastic because your body can do IT"